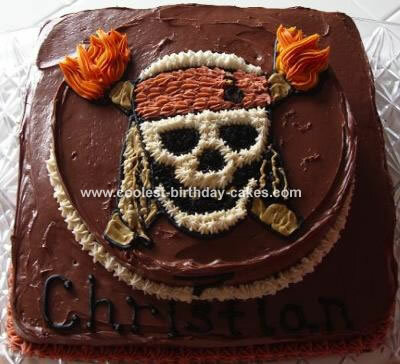 I made this Pirates cake for a friend. It was just a chocolate cake with milk chocolate icing and I drew the movie logo. There are several on here and yours is eye catching. I love the design. You did a great job. Your cake is so,so,so cool. My twin sister and I love it so. We want it for our pirate party!